We’re hurtling into that time of year: my youngest brought home a nasty head cold and generously shared with the rest of the family. Like everybody else, I’m looking for anything that will help boost immunity and keep us from getting sick and missing work or school. In this post, I’m discussing one option that was new to me: here’s the skinny of using elderberry for colds and flu. I received this product for free from Moms Meet to use and post my honest opinions. Compensation for this post was provided. Last week I got sick. I was a sentient ball of phlegm. I had a tiny fever. My throat was sore. I had an overall feeling of yuckiness. I’m still waking up at night thanks to a lingering cough, but aside from that, I shook that cold pretty quickly, as did my eldest (who caught it while visiting and brought it back to Philly, so many apologies to all his friends who also got it). My other two, who found themselves as an unintended control group, were actively sick wayyyyy longer; in fact, they kept insisting that I must have caught another, less severe cold. 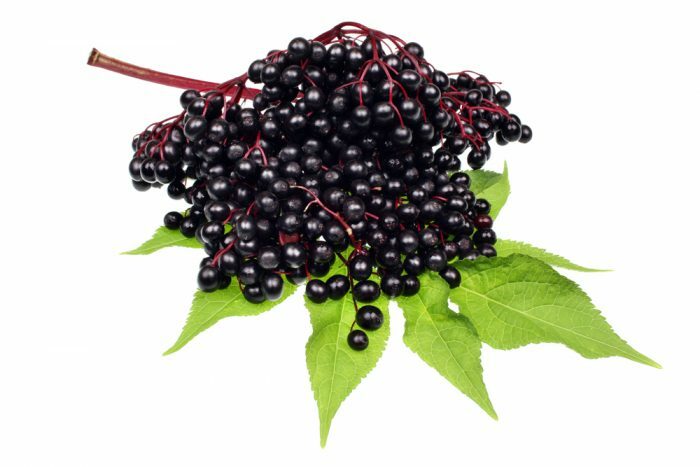 Elderberry in this context refers to the fruit of the elder (Sambucus) tree, and the extract is said to have a lot of beneficial properties, particularly when it comes to your immune system. Think of it this way: dark blue and deep purple fruits contain antioxidants called flavonoids— specifically the flavonoids referred to as anthocyanins— which fight the damage caused by free radicals. These are fruits that are hardy under less than ideal conditions, and they pass that hardiness on to you (the epitome of “you are what you eat”). The United States Department of Agriculture places the highest concentration of anthocyanins in black elderberries, nearly double the amount found in any other fruit. According to WebMD, there’s sufficient research to be able to say that elderberry reduces the severity and duration of the flu and the common cold, and also aids with constipation. There’s also a host of other ailments elderberry is rumored to help with that there isn’t enough research to support just yet, from heart disease to gingivitis to allergic reactions to chronic fatigue. How do you take elderberry? Do a quick search and you’ll find lots of recipes for DIY elderberry syrups. Use caution, though: the quality of your elderberries may vary, as will the dosage achieved. I discourage foraging because you don’t know what pesticides might have been used in the area and the plant does have some similar looking relatives. DO NOT use the leaves, stems, unripe fruit, or uncooked fruit, as this can cause unwanted side effects like vomiting or diarrhea. is produced from whole black elderberries; it the equivalent of up to 1000 black elderberries in every 120ml bottle. 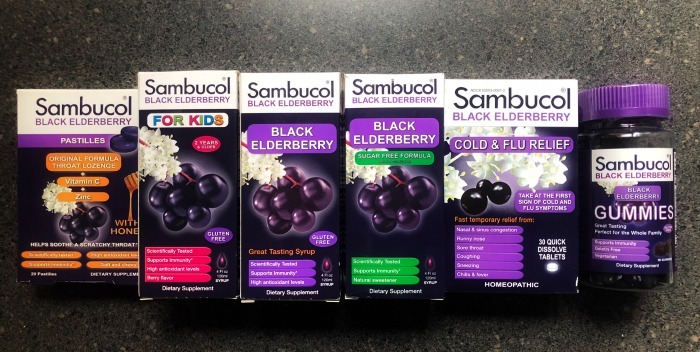 As you can see from the photo above, Sambucol has a number of elderberry delivery systems, including a (delicious!) gummy immunity boosting, cold and flu preventative. There’s a version that’s adjusted for children as well as a sugar free option. I sent the lozenges to Philly with Jake, and he shook that cough much faster than I did. As with any medication or supplement, talk with your pediatrician before using elderberry with young children. In addition, elderberry can cause lessened efficacy of immunosuppressants (which makes perfect sense, when you think about it). If you’d like to give Sambucol elderberry supplements a try— and again, I can vouch that it really did seem to help with the severity and duration of my head cold— check with the store locator for where you can buy locally. You can also order directly from the website.